I’ve Been Sued . . . Now What? If you’ve just been served with a lawsuit summons, you must work quickly to ensure you don’t compromise any of your rights. There are firm deadlines when it comes to lawsuits and steep penalties for missing them. Here are 5 things to keep in mind once you’ve been served. 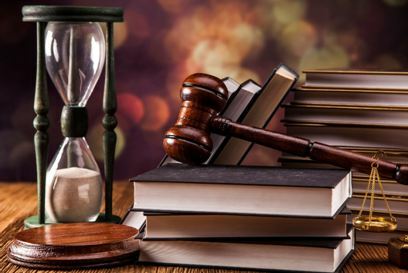 Consult an experienced attorney who can help guide you through the litigation process. Getting sued is naturally stressful and draining and having a seasoned professional by your side will put you at ease. A lawyer will be able to explain the claims against you and what they mean, and advise you of your options. It is important to contact an attorney quickly so that you can ask him or her what initial deadlines apply to your case. The response to the lawsuit must be filed within a certain number of days, which can vary depending on the type of case and where it is located. Gather all documents and any other evidence you feel may be relevant to the lawsuit. Don’t forget any electronic evidence such as e-mails, text messages, digital photos and call logs. Bring those records to the first meeting with your attorney. Some early options may include settling your case with the other side, participating in mediation or arbitration, and filing a counterclaim if you have a case against the party suing you. There may also be different kinds of responses to the lawsuit that can be filed. Your attorney can advise you of all your options. Be extremely careful about with whom you discuss the lawsuit, and where you discuss it. While discussions with your spouse and attorney are protected by law, discussing your case with strangers, colleagues, and even friends can have serious unintended consequences. Also keep in mind that if you have an attorney, the other side’s attorney is not allowed to contact you.